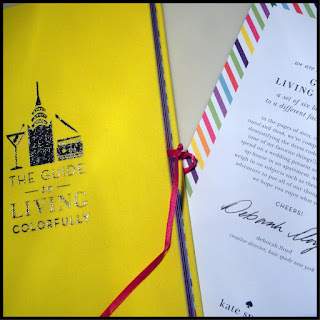 Kate Spade's "Guide to Living Colorfully" is a set of six books, each filled with ideas + inspiration for celebrating, decorating, charming, dressing, thinking and traveling colorfully. 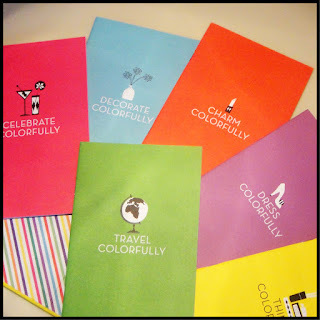 Unfortunately, the book is currently sold out, but katespade.com has tons of other stylish, Holiday gifts ideas for under $40, like this Live Colorfully stationery set. I styled this casual Kate Spade tee with an oxford button down, boyfriend jeans and a pink sweater. 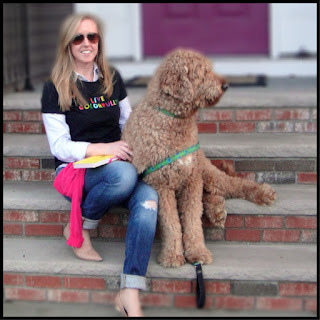 Oh, and my favorite accessory; my adorable (and colorful) puppy, Harry. 1 comment on "Colorful Kate"
Hahahaha the accessory is too cute and of course has a lovely color!